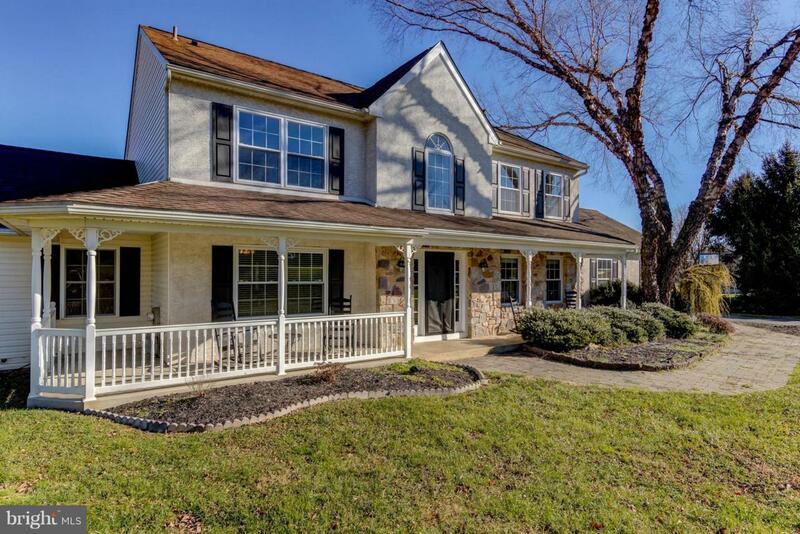 Welcome to this stunning 5 BR 3.1 Bath home that personifies Chester County living! Situated just outside the historic town of Chatham, this pristine home sits on over 1.2 acres and overlooks a horse farm and panoramic views of the surrounding farmland. Enter through the covered front porch to a grand 2-story foyer with turned staircase. Gleaming hardwood floors carry throughout the main level. The foyer is flanked by a Formal Living Room and leads to the formal Dining Room and gorgeous Kitchen with Granite Counters, stainless appliances, Breakfast Room with large picture window to take in the amazing scenery. The cozy Family Room has a floor-to-ceiling stone wood-burning fireplace and provides access to the rear deck. The first floor continues to yet another Family Room and access to a 1st Floor Master Suite. This suite is completed with a large walk-in closet and a Full Bathroom! Upstairs you will find 4 additional bedrooms, highlighted by a 2nd Master Suite with his-and-hers walk in closets and Full Master Bath. 3 generous-sized Guest Bedrooms and a large Center Hall Bath complete this level. So much to offer in Award-Winning Avon Grove School District. Easy access to all major routes! This home is sure to impress!